Have you ever gotten an e-mail that you didn’t understand? Check to see if the e-mail is even important to you. How? You can translate it with one click. 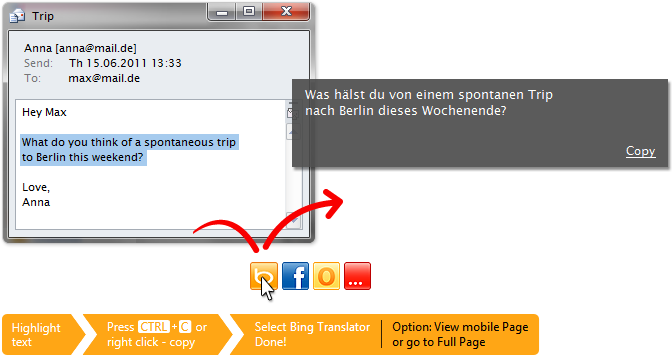 Simply highlight the text, Ctrl+C or right click -> copy and select click.to Bing Translate.